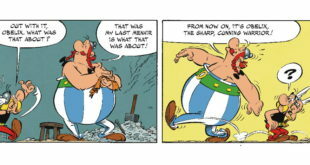 The Asterix in Britain: Life and Work of René Goscinny celebrates the life and career of the best-selling Asterix creator. 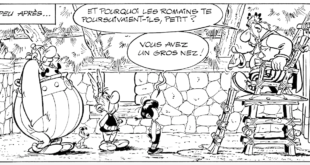 The new adventures, penned by Jean-Yves Ferri and Didier Conrad, promises an action-packed return, according to the latest sneak peek of the cartoon strip. With plans to look at more Pan European partnerships for the Asterix brand, the property looks set to reach more markets in the future. Here, Ian Downes, MD of Start Licensing, talks working with Underground Toys and expanding into apparel with retailer Primark. "We have some new licensees in the pipeline and the recent activity around the new album has renewed interest in Asterix," said Start Licensing's Ian Downes. The new comic strip album starring the iconic French character will hit retailers across the globe from October 22nd. Agent will look after brand in Greece and Cyprus. We find out more about the licensing programme behind one of the world's highest selling book series. New figurine loyalty programme launches in Despar stores. 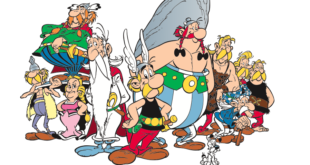 Free products given out to shoppers of Real stores; new Asterix licensing agent for India.